'All in?' Kieran pulled me up, and the others followed. We gathered around the bigger tree. No one asked Matty - he just reached up and put his right hand on the trunk with ours. Finding those carved trees forged a bond between Jay and her four childhood friends and opened their eyes to a wider world. 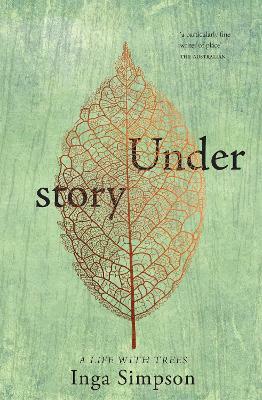 But their attempt to protect the grove ends in disaster, and that one day on the river changes their lives forever. 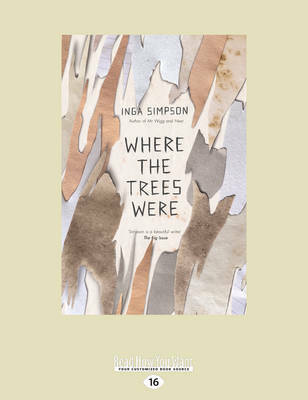 Buy Where The Trees Were by Inga Simpson from Australia's Online Independent Bookstore, Boomerang Books. 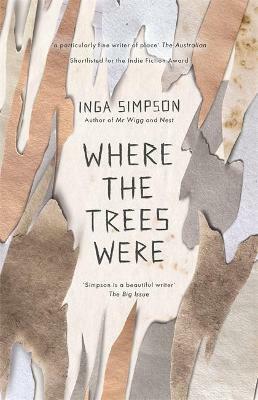 Where The Trees Were is the third novel by award-winning Australian author, Inga Simpson. At midnight on a cold Canberra winter’s evening, a rare artwork is stolen from the loading dock of a well-known art gallery. In her position as senior conservationist specialising in Australian artworks, thirty-year-old Jayne Lawson’s opinion is sought, but no one suspects her of carrying out the theft. Why would a respected professional jeopardise her reputation, her career and her freedom in this manner? Soon to start High School, Jay is enjoying a summer of freedom with her friends. The river at the end of Jay’s parents’ farm is where she and Kieran, Ian, Josh and Kieran’s younger brother, Matty (when they are forced to take him along) spend their days as soon as chores are done. When this tight-knit group make an amazing discovery in a grove of gums, they make a solemn vow. 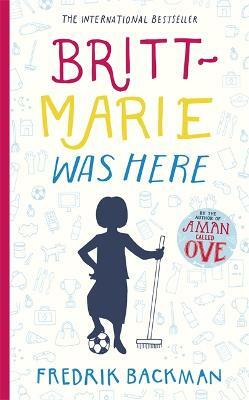 The story is told over two timeframes in alternating chapters: young teen Jay narrates the events of the late eighties while the events of 2004 are told from thirty-year-old Jayne’s perspective. 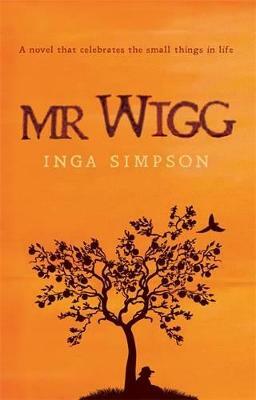 Simpson anchors her narratives firmly in their respective time periods with current events, music, movies, books and social attitudes. She includes a wealth of interesting (and sometimes shocking) information, incorporating topics as diverse as Tour de France, arborglyphs, the Archibald Prize, establishing the provenance of artworks, the Patagonian Toothfish and Native Title. 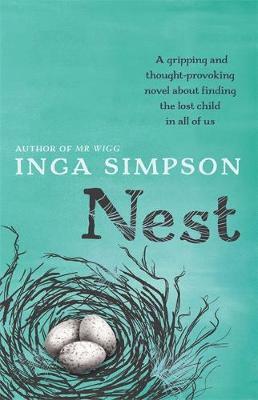 While the story gradually unfolds, Simpson treats the reader to some beautiful and eloquent descriptive prose: “It was so peaceful up there, with the clouds, that I didn’t ever want to come down. It was as if all the things that had happened were smaller, paused somehow, while I was in the air. As if the glider were a time machine that might set me down at a moment and place of my choosing. With the whole world to choose from” and “…I watched the treetops against the sky, the birds busy in their branches, and all of the flowers and insects that you only noticed when you were still, the sounds and smells that made a place and were the whole world. Eventually, I felt still again, too” are examples. 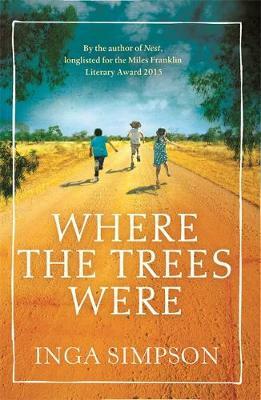 For any reader who spent part or all of their childhood in rural Australia, or even in the outer city suburbs, Jay’s narrative will strike a chord: lazy summers spent swimming, floating downriver on lilos, jumping from a rope swing, blackberrying, catching crayfish, playing games. And cooler months spent camping out, sailing model boats, and building a bonfire, all are so evocatively described that one can taste the blackberries straight off the bush, feel the dust underfoot, the sunburned skin, smell the fire and see the stars in the chilly night sky.